This Victorian home in the heart of Wimbledon Village required substantial modernisation, including the internal layout, mechanical and electrical services and a ground floor extension at the rear of the property. 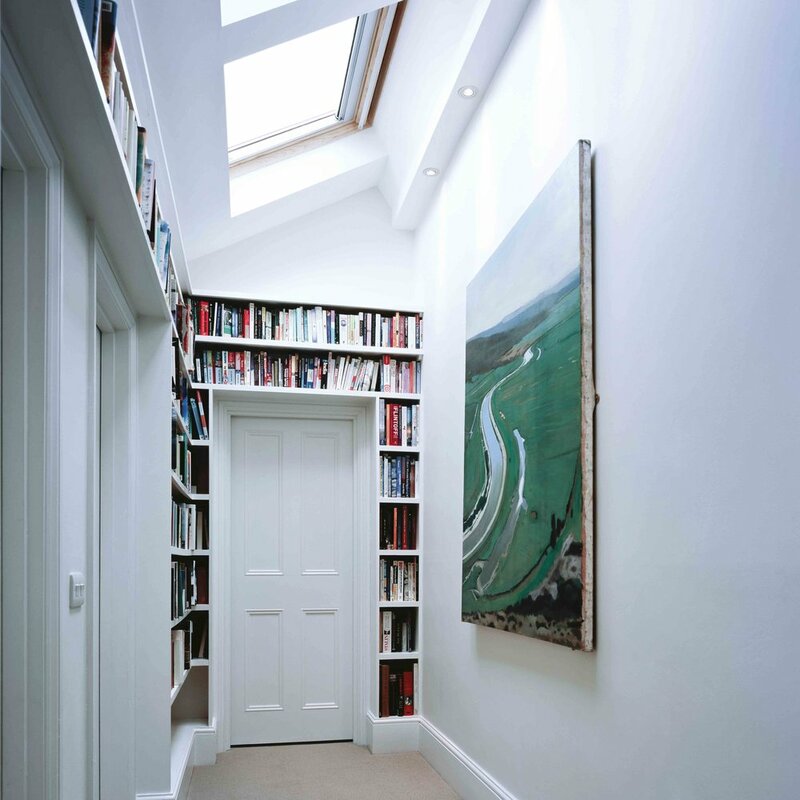 The new owners of the property wanted to create a house which retained the original character of the property; high ceilings and moulded plaster cornices, but to extend the house at the rear and open up the boundaries between the house and the garden. We achieved this by designing a beautifully simple glass structure at the rear of the property, with glass beams and columns and a motorised louver system, suspended from the glass roof by bonded stainless steel brackets, which tracks the sun's movements to cut out glare during the day and also create privacy at night. Careful structuring of the sight lines and garden layout has helped to increase the apparent depth and width of the property, maximising its potential. The original structure of the house was subjected to an extensive overhaul with new bathrooms, bedrooms and joinery throughout using a careful balance of traditional features, such as a reclaimed parquet floor and marble fireplace in the main living room, combined with uber modern lighting and joinery in the children's bedroom and bathroom areas.